Reuben Henry "Rube" Oldring (May 30, 1884 – September 9, 1961), was a professional baseball player who played outfield in the major leagues from 1905 to 1918. He played for the Philadelphia Athletics and New York Yankees. 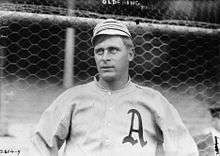 Oldring started his professional baseball career in the Southern Association, in 1905. That October, he was drafted by the Philadelphia Athletics in the rule 5 draft. 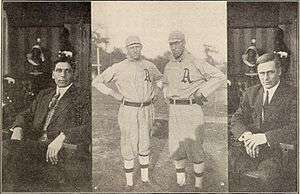 From 1907 to 1915, Oldring was a regular outfielder on the A's. 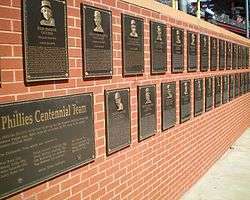 He played in three World Series with them. Oldring played in the minor leagues for several years after his major league career was over. In 1923, he hit .342 for Wilson of the Virginia League and also managed the team to the pennant.